Universities play a key role in the transition to a sustainable society by educating the people who will lead the process. In a new evaluation of how Sweden's higher education institutions are integrating sustainable development into their education, Chalmers University of Technology and the University of Gothenburg belong to the quarter awarded the highest rating. In March last year, the Swedish Higher Education Authority was commissioned by the national government to carry out an evaluation of the work by universities to promote sustainable development. Eleven of the 47 evaluated universities were found to ‘have a well-developed process for incorporating sustainable development in education’. The Authority found the sustainability work at the other higher education institutions to be ‘in need of development’. 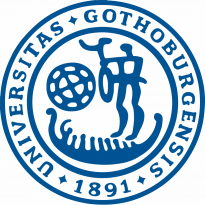 Both Chalmers and the University of Gothenburg received a pass grade in all assessed areas: management and organisation; environment, resources and area; and design, implementation and results. The Centre for Environment and Sustainability, operated jointly by Chalmers and the University of Gothenburg, is identified as an important platform for sustainability efforts.